Happy Friday everyone! 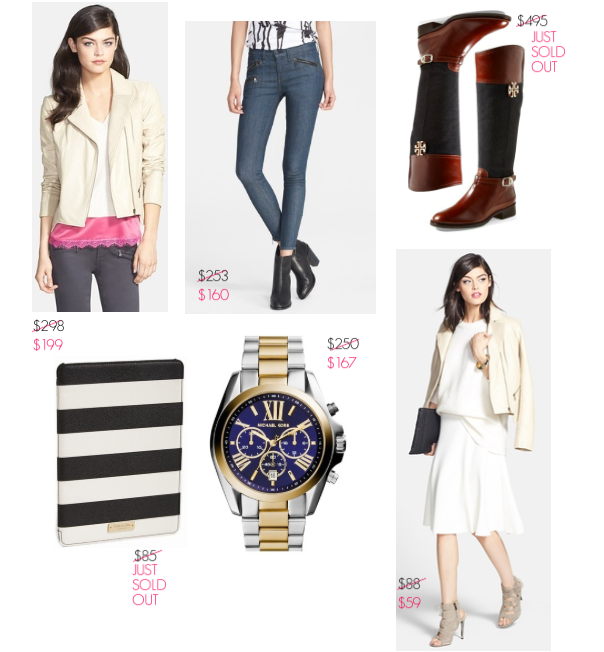 I can't believe the weekend is here already and with it comes the end of the Nordstrom Anniversary Sale. If you haven't hit this one yet, now is the time. While items have been going fast, there are still three days left to save! If you been following my recent posts you'll remember my these early picks I had been coveting. Now that the pre-season savings are about to go away I just had to share some final craves before prices go up on August 4. If you've been enjoying this sale as much as I have then you know the giddiness of scoring pre-season styles at a savings like this. If not, there's still time to get in on the stellar savings. Along with the picks above, this Tory Burch smartphone wristlet has also really gotten my attention lately! You can shop everything you see here via the thumbnails below or you can follow my Instagram. From there just sign up with your email via the link in @likeit profile, like the photos with the #liketkit tag and get all the shopping details for all the styles and outfits you see sent directly to your inbox. How great is that? So, what were your favorite finds from the NSale? I'd love to hear all about them! Have a fantastic weekend everyone!